Stoke City 2 Man United 0, December 26th: Reality bites, how do you make United better? United haven’t lost four in a row since 1961 therefore this is an ‘official’ crisis. So what can be done? 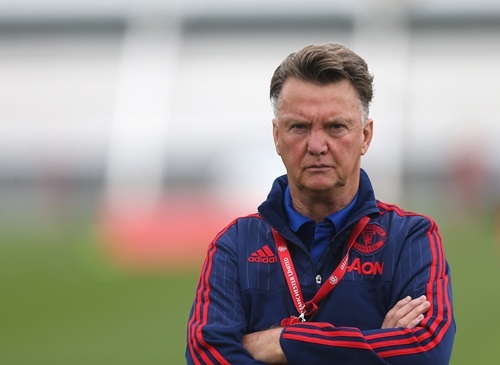 A knee jerk firing of Van Gaal? 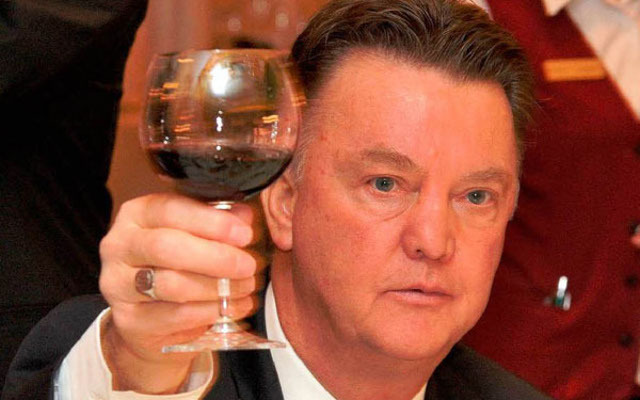 Van Gaal beats the board to the punch and resigns? United stick with their manager and give him to the end of the season at least to try and sort it out. It’s a very tough call given the amount of criticism but if it’s me I stick. There’s a whiff of player power these days at United and there’s no doubt Van Gaal has had to back off his tough approach to lengthy team meetings, stultifying attention to detail and discipline. Yet the players didn’t respond yesterday to any change in his approach. Again there was no spirit or leadership until Rooney appeared and charged around yelling at the ref, made a few tackles and set up Fellaini for United’s best chance. Even in a poor display you want players who are obviously trying to make something happen, who take responsibility and try. Rooney did. The others? Memphis DePay? Absolute waste of money. The senior players? Carrick, Smalling, Fellaini, Mata? Blind, Jones, Young, Herrera? Not enough leadership or contribution. Individually Carrick has been a great player. Smalling is a good as good as anyone in the Premiere League this season. Blind is under rated and technically a very good footballer. Fellaini needs to release his inner wild man. Mata is another very good footballer but he needs runners in front of him. Herrera is busy and often positive. But again has no runner to hit. That leaves Martial and De Gea. Martial is still learning, De Gea is under siege. Schneiderlin has missed the last few games and coincidence or not the defence is not the same without his bite and screen. Then there are the injuries. Shaw, Valencia, Darmian and Rojo. Is there a leader or a team bully there? Other than Rooney and the suspended Schweinsteiger I don’t think so. All good teams have leaders and United are missing a couple. Players need to step up. Collectively this is not a team. Where is the drive and passion? Who takes responsibility for this situation. Van Gaal and his selections, tactics and use of the 250 million? The players? Would a new manager turn the group into a more cohesive force? In the end surely you have to stick with a manager who has managed the best and won? Van Gaal bought and rebuilt the current squad. However bad it is, and it is bad, shouldn’t he and the players be given the opportunity to dig themselves out of the hole? If only because it’s got to the stage where bringing in anyone else who can make a difference either manager or players is going to be very hard. These are hard days. Every game is now a must win if Europe and better recruits in the summer are to be realized. Chelsea are without Costa on Monday and are another team in crisis. Now is the time for United’s players to step up. Another match winning performance from De Gea; another good game from Smalling; and apparently another Paul Scholes too slow barb from Van Gaal’s favorite TV pundit. The Scholes’ remarks are reported in the Mirror. I don’t know the context but let’s face it: Scholes on TV + United + Van Gaal = never let the facts spoil the opportunity for some controversy. It was a deserved win. Memphis Depay’s opening goal was terrific. Great pass, great volley and then United deserve credit for immediately hitting back after Watford’s penalty equaliser. It was as if they heard whatever Scholes was saying on TV, because they immediately upped the tempo to overwhelm Watford and force Deeney’s own goal. Now the worry is injuries. Hererra’s tweaked hamstring and Jones twisted ankle are unfortunate. Martial and Rooney are expected back for Wednesday’s Champions League game against PSV, but there are questions about Fellaini and Carrick and of course Shaw and Valencia are out for months. For me this is where Van Gaal’s insistence on organization and stability pays off. Forget the criticisms about ponderous play. It’s the solid, well-coached foundation which has United in second place in the league, and which also provides the ability to cope with injuries. Players know what they have to do and how they have to play. Young at right back? A fluid front three of Memphis, Lingard and Mata? in other words Van Gaal’s process and dare we say it “philosophy” is obviously working. After PSV it’s something probably no one expected to hear, write or say – a table topping match up at Leicester City. It’s currently a very interesting Premiere League. With City and Arsenal’s wobble today, Liverpool and Tottenham’s resurgence, and Chelsea bound to find some form at some point, the league remains wide open. United have a reasonable month of fixtures ahead. A bit of luck with the injuries. A couple of players arriving in January. Who knows what might happen? Just saying. The debate continues on Van Gaal. Brilliant despot? Process Philosopher? Heretic dismantling United’s vibrant tradition of “attack, attack, attack”? North Manchester’s ever blunt Paul Scholes, of course, fanned the recent flames, and the United Rant blog has produced various think pieces all with the recurring theme that currently United are Forever Dull or Dour. The latest speculates on the Dutchman’s legacy when he retires from Old Trafford, gives up his beloved nights at Wings and retires to Portugal. Well I’m sticking to my constant theme. He’s doing a good if not great job, and others agree. United are in the top four; likely to go through to the next round of the Champions League; and have the signing of the season in 19 year old Anthony Martial who will win every Young Player of The Year Award this year, and many more awards in the future. Van Gaal has tightened the defence; made Old Trafford a fortress again; and rebullt and re-energized the squad. Yes he’s had the money. So have Liverpool. Van Gaal was asked to stop a decline which potentially could have seen United slip to the Anfield outfit’s current predicament. A once dominant force struggling and stumbling to reassert itself. Every year falling further and further behind its rivals. Yes he’s doing it with defence and organization. What are his options? Everyone agrees he hasn’t got the two or three world class players with the pace, power and energy needed to re-establish United as a dominant force both in the Premiere League and Champions League. Can he get them? Has he got anyone in the junior ranks? We’ll have to wait and see. If Memphis/DePay was as advertised that would be a boost. He isn’t, and in my opinion never will be. (sorry to sound like a broken record on this). Personally I’ll take a top 3 finish, and as good a showing as possible in this year’s Champions League while Van Gaal tinkers with the current squad, promotes from within, and buys the best if he can make them available. Tactics and style of play are determined by the personnel at a manager’s disposal. It’s a simple as that. A very bad night at the office, but it was the same for Chelsea and Arsenal the night before. This is isn’t an apology for the team but a realistic appraisal. Do we really think Van Gaal would set the team up to play as they are if he thought he had other options? The first maxim in football is: You are only as good your players. Van Gaal hasn’t got box to box midfielders, or widemen who offer pace and penetration. There isn’t Beckham and Giggs, Scholes, Keane, and Ronaldo. If there were the team would be more vibrant and vigorous. So can we all get real? Enough of the anguish? Paul Scholes, who’s as sharp and trenchant off the pitch as he was on it, was his usual blunt self after the match. “It’s a team you wouldn’t want to play against and it’s probably a team you wouldn’t want to play in either. There’s a lack of risk and creativity. It seems he doesn’t want players to beat men and score goals – it’s not a team I would have enjoyed playing in. Ruud van Nistelrooy, Teddy Sheringham, Andy Cole couldn’t play in this team. This is a team which is curently built not to lose,. Van Gaal obviously believes he doesn’t have the right mix of players to play a more up tempo, purposeful style, because the risk is too great. First of all he has to win, and the way he’s chosen is to be compact, careful and withdrawn. The one disagreement I have with Scholes is that he appears to think it’s purely tactics rather than talent which is determining United’s style. So no League Cup this year, a few midweek nights off, but don’t expect this team to change soon. If you want success we have to be prepared to go through the very painful process of rebuilding and recruiting. 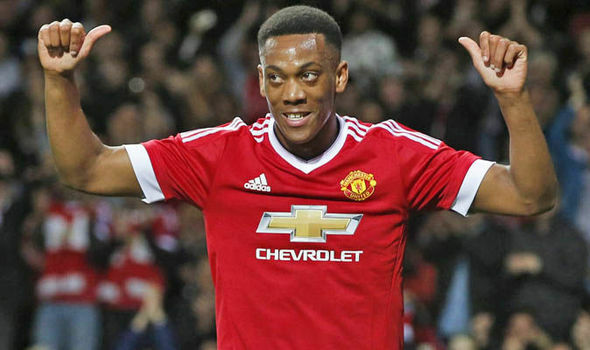 Martial is proof that great young talent is very, very expensive. Memphis/Depay, Wilson, Lingard, and Pereira, are proof that other younger players have a long way to go. Meanwhile Schneiderlin, Schweinsteiger, Smalling, Jones and De Gea, are foremost in protecting the ability to build a top 4 challenge. On the face of it in recent years United have never been in a better position going into a Derby. I don’t want to tempt the footballing Gods, it is a Derby, anything can happen, City have deep resources, and all of that psycho babble. But United should win. Take that. City are without their two best players in Aguero and Silva. If Navas plays the right side is wide open. If Kompany plays he’s injury prone. Fernandinho and Fernando should be an Abba song. De Bruyne is a very good player, Sterling is quick and Toure is a balletic bulldozer. Van Gaal will tinkering and tailoring, but apart from Luke Shaw everyone is available for United and that includes Young. Don’t believe the he hasn’t played for three weeks doodah. He’s trained all this week. It was Rooney’s birthday on Friday and I watched the recent BBC documentary about him. Forget the soft pedal approach by Gary Lineker that goes with getting access to a very private man, what jumps in any review of Rooney’s career is his talent, goals record, longevity, competitiveness, and sheer love of the game. He’s been a great servant to United and England. He remains a top class player and anyone who doesn’t recognize that is a moron. When you watch a review of his 13 plus years you can only applaud his talent. Even without the burst he’s better than most. Remember this? Let’s hope he scores on Sunday. Happy 30th.